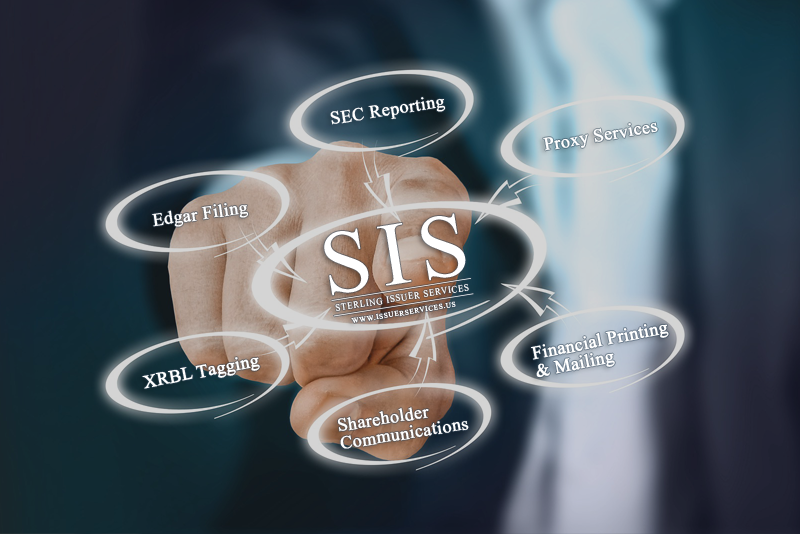 Edgar Filing Services: Issuer Services provides its clients with full service SEC filing services including Edgar filing and XBRL tagging services. XBRL Tagging Solutions: Issuer Services provides its clients with full service XBRL tagging. Shareholder Meeting and Communications: We are able to provide its clients with turn key shareholder meeting and communications services. We provide our clients with custom printing and mailing solutions, as well as document delivery and online hosting solutions. Proxy Solicitation: Our proxy management services include the mailing and delivery of proxy material to shareholders, institutions, and broker/dealers. We are able to host proxy materials online, provide both manual and online proxy tabulation services, as well as proxy solicitation. Printing Services: We provide our clients with a full suite of printing services. We are able to handle everything from small shareholder mailings to the production of full color annual reports. No mailing project is too small or too large for us to handle. Sterling Issuer Services offers competitive rates and service plans for its clients. Please feel free to contact our offices to obtain a quote for your firm’s needs.